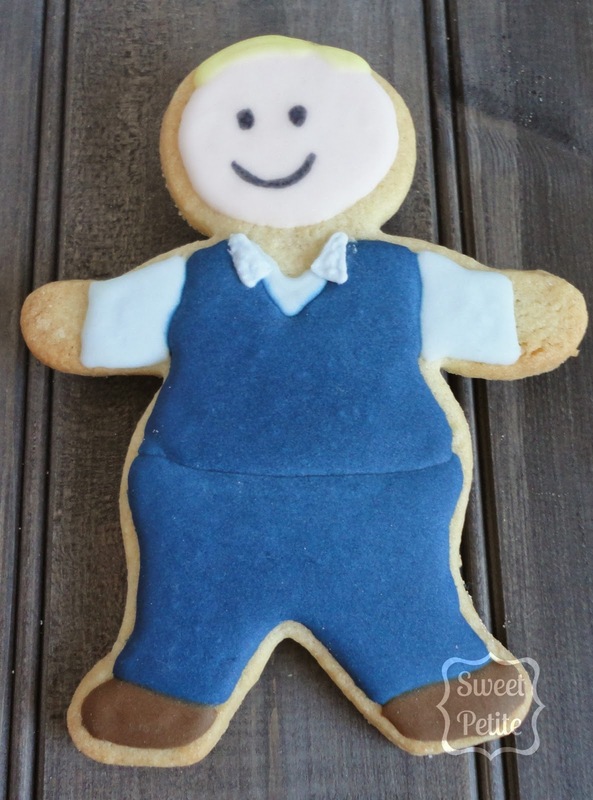 Sweet Petite - The Mentalist Biscuits: Patrick Jane and his….tank top! 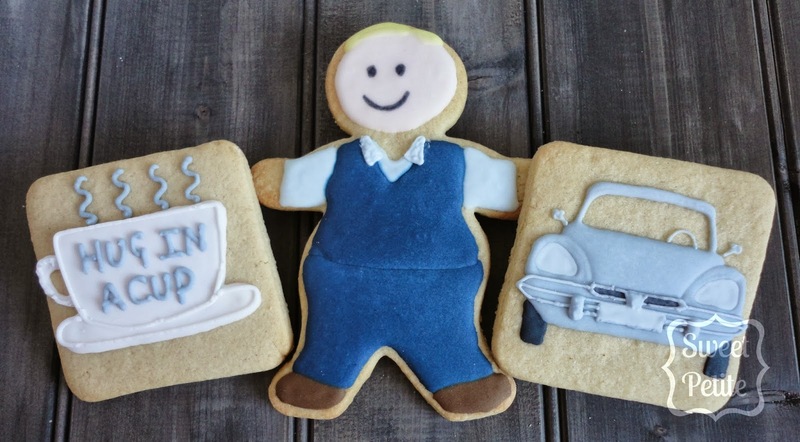 The Mentalist Biscuits: Patrick Jane and his….tank top! I always seem to start every blog post with ”sorry it’s been a while hasn’t it? !” so I’m sorry for being sorry but it’s been a busy few weeks here at SP towers. With loads of birthdays and a wedding (yes Wedding! My very first wedding order!!) We’ve had skulls, hearts, bicycles, electric guitars and donkeys to name a few!! But (insert tenuous link here -> the busyness has been perfect timing to get me through the summer of rubbish TV!! I seriously can’t function without my programmes, sad I know, but I’m a TV addict!! If you don’t watch it, we’re already 5 seasons in but there’s always time to catch up….well in my world there is!! It centres around Patrick Jane a former fake psychic who is on the hunt for the serial killer, known as Red John, who murdered his wife and daughter. He works as a consultant for the California Bureau of Investigation helping them to solve crimes all the while working closely on the Red John case. For five years we’ve been kept on the hook, wanting to know who Red John is and this season we are FINALLY going to find out!!! Eeek!! I can’t wait…but I guess I’ll have to 🙁 So I’m posting these today and staying off Twitter (my sad fangirl account that is!) until I’ve seen it. I’m determined not to get this spoiled!! 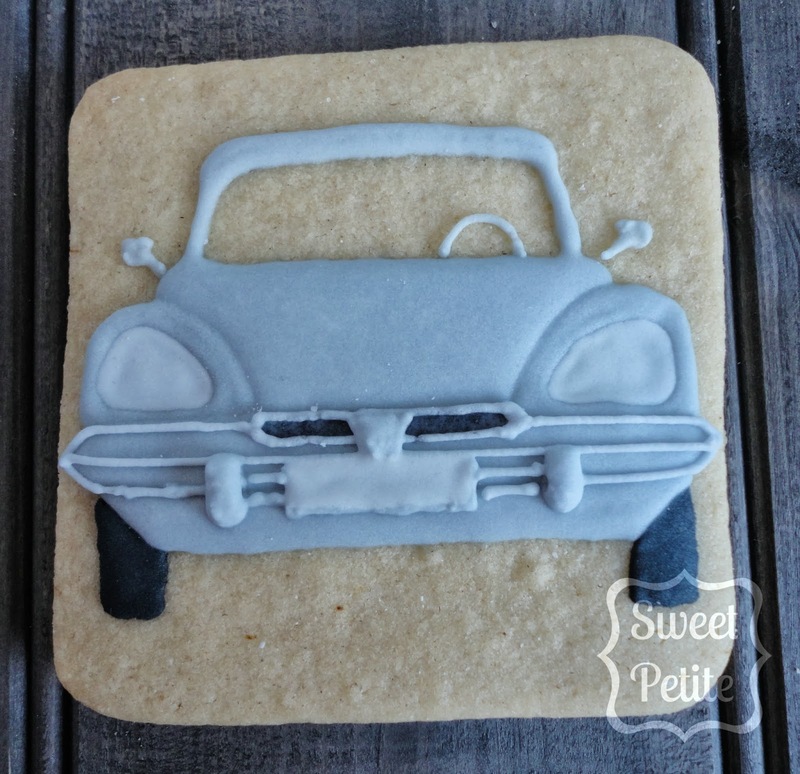 Patrick also loves his tea and drives a very cool Citroen DS! 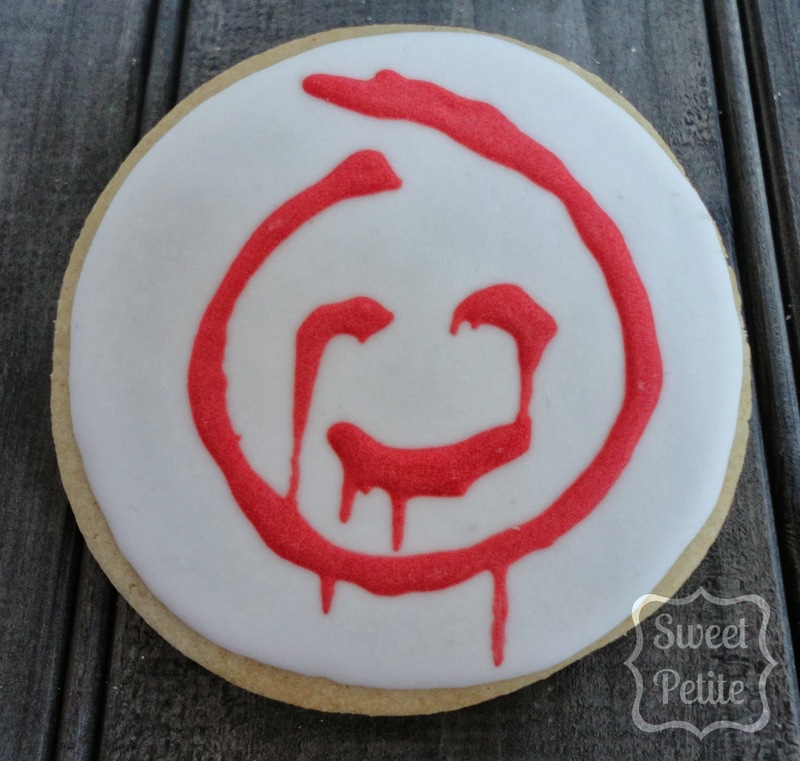 And last but not least, it wouldn’t be The Mentalist without the Red John smiley, the killer’s calling card and essentially the symbol of the show. I used the kopykake for these too, I couldn’t get them creepy enough freehand! Well, I hope everyone lucky enough to be watching tonight enjoys it! So as the suspects have been narrowed down to seven men, who’s your money on then? I think either Bob Kirkland or Brett Stiles, but I also wonder if our man isn’t actually on the list but who knows, I guess we’ll just have to watch and see!! So who’s watching tonight? And who is waiting and avoiding spoilers like me? Anyone for Tennis? : Wimbledon Biscuits! !